Hollywood star Mark Hamill has revealed 'Star Wars: The Force Awakens' is "about the new generation of characters"
'Star Wars: The Force Awakens' is "about the new generation of characters". 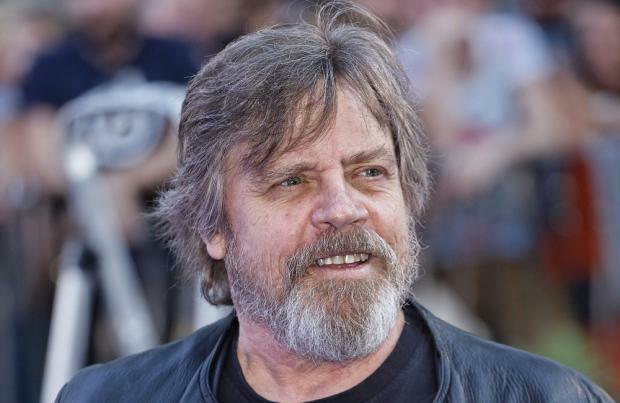 Mark Hamill, 63, starred as Luke Skywalker in the 1977 film 'Star Wars' and its two sequels, 'The Empire Strikes Back' and 'Return of the Jedi' - and he's given fans of the franchise an idea of what they can expect from the much-anticipated new film. He said: "This is about the new generation of characters; I think that's the most important thing. It's the opening act of a whole new approach to the storytelling. "So I never thought that the stories would be - first of all, I never thought I'd be involved in it again, period. And then when George Lucas said that they wanted to do more, I rightly assumed that it wouldn't be our story, because we had a beginning, a middle, and an end." Mark appeared in the original film alongside the likes of Harrison Ford and Carrie Fisher, both of whom are returning for the new movie, and he admits to being nervous about returning to 'Star Wars'. He told Yahoo Movies: "I'm one of those people where I just think, 'Keep me out of it. I'll ruin it, I'm sure!' I'll show up and just ruin the whole thing."